CHIPPA UNITED head coach, Clinton Larsen, has warned that his side will need to be in top form if they are to beat struggling Baroka FC. 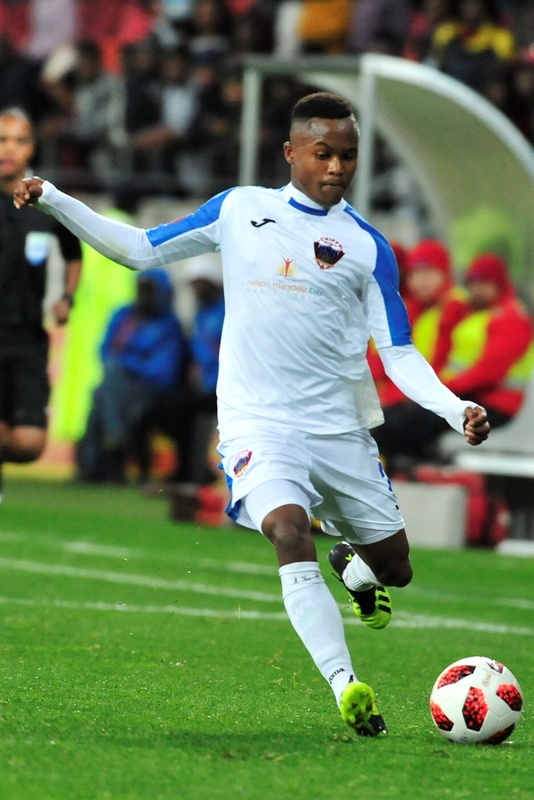 The relegation-threatened Chippa visit Baroka this afternoon in a must-win Absa Premiership encounter this afternoon. Kick off is at Peter Mokaba Stadium (3.30pm). Bakgaga and the Chilli Boys are staring relegation in the face. But Chippa, who are second from bottom, seem to have regained their rhythm since the former Golden Arrows coach took over from the sacked Joel Masutha last month. Larsen (47) has been in charge of two games for the Port Elizabeth outfit and won both matches. His charges beat Maritzburg United 2-0 in a league clash, followed by another big win, knocking league champions Mamelodi Sundowns out of the Nedbank Cup Last 32 round with a 2-1 victory last week. Said Larsen: “We’ve done well in the two past games. Confidence in the camp is amazing. But we don’t have to look on how Baroka have been doing lately, as that could be a huge mistake. We have to be on our best form to beat them, or return home with at least a point. Baroka’s performance this year has been dismal, as they are yet to register a win. In their league run, the Limpopo-based side drew two and lost one game, which saw them dropping further down to the danger zone. They even suffered humiliation after losing 1-0 to National First Division side Jomo Cosmos in the Nedbank Cup Last 32 round midweek at home, which has now put more pressure on their head coach, Wedson Nyirenda. But the Zambian-born mentor says he’s not even thinking of throwing in the towel. “I won’t quit. I’ll still be here at Baroka for the next coming five years,” said Nyirenda. Defeat for Baroka today could see them dropping to second-bottom, with a win for Chippa boosting their chances to survive the axe. Chippa are 15th on the log with 15 points from 18 league games, while Baroka are two spots above them with only a point ahead of them, but with the same number of matches. Larsen will be hoping the likes of Thabo Rakhale, Rhulani Manzini and Andile Mbenyane display the same form they showed against Downs last week when they face Baroka today.